Deal alert: SanDisk Ultra 128GB microSD cards are just $18 at Amazon! There's a promotion on Amazon right now that slashes the price of the SanDisk Ultra PLUS 128GB microSD card down to just $18.21. And if 128 gigs are not enough for you, the 200GB SanDisk Ultra microSD card is now going for $39.49, while the 256GB and 400GB models have been discounted to $44.99 and $99.99, respectively. 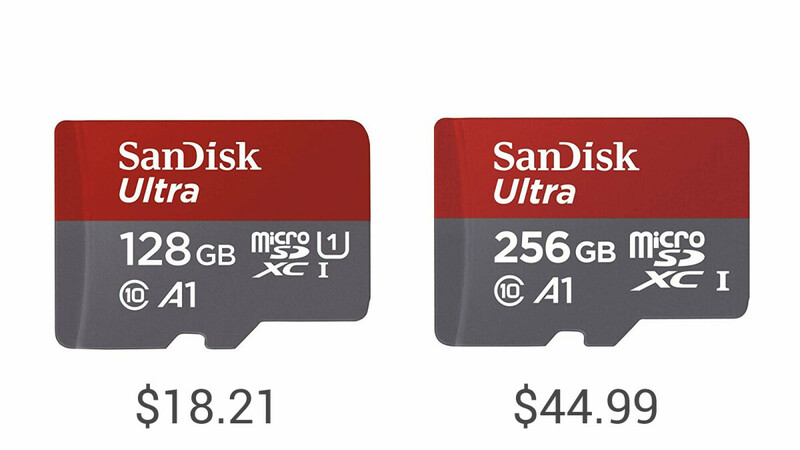 Alternatively, if you're looking for even faster external storage, you may want to check out Amazon's current deal on SanDisk Extreme microSD cards. The difference between the two is that the SanDisk Extreme is a little faster at reading and a lot faster at writing data. The price difference is there, so the faster cards may or may not be worth it, depending on your needs. If you just want to add some storage to your phone or are taking primarily still shots with your camera, you may be just fine with the Ultra. If recording lots of 4K video is your thing, however, you may want to fork out the extra cash and get a SanDisk Extreme instead. Check out the deals below!